Image: BR Photo Addicted/Shutterstock. Design:Ashley Britton/SheKnows. First of all, the “perfect” babysitter is different for everyone. But regardless of your family setup and schedule and the ages of your kids, the bottom line is anyone looking after your children should be responsible enough to keep them safe. 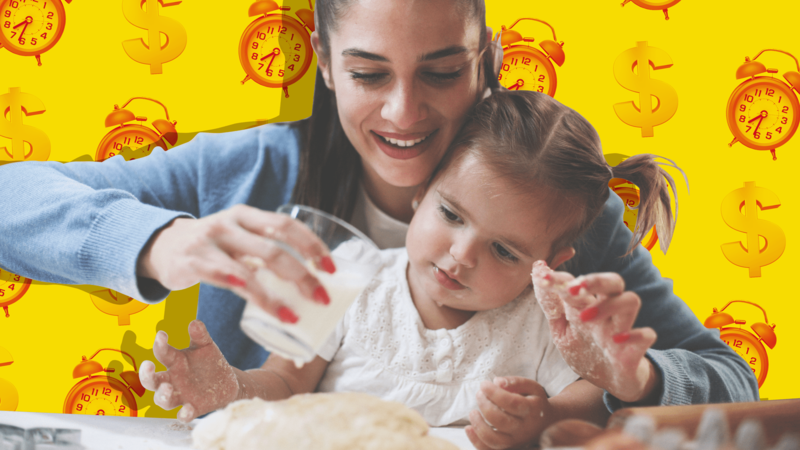 Elizabeth Malson, president of Amslee Institute, an online technical school with a childcare curriculum specifically designed for professional nannies and sitters, advises going for a sitter who has a Basic Childcare Diploma and Certification. This might not be essential for you if you only need a casual sitter to look after your kids for short periods once or twice a month, but if you’re hiring someone who’ll effectively be your stand-in for prolonged periods on a regular basis, it’s worth making professional qualifications a priority. 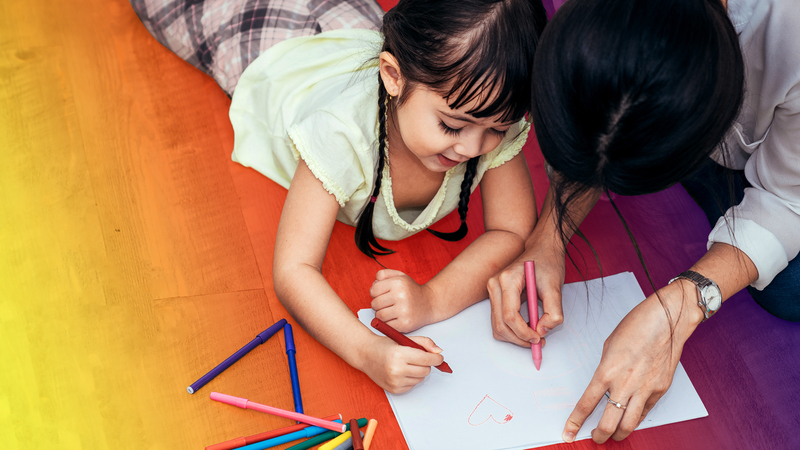 Hiring a babysitter who’s a licensed childcare provider and/or is certified by an official state government organization, such as TrustLine in California, helps ensure safety and trust, as they’ve been pre-screened by the state. While a formal education in childcare is optional, CPR and first aid training shouldn’t be. The right babysitter is someone you can trust to keep your kids safe because they’re trained to deal with — and prevent — accidents and injuries. The American Red Cross offers babysitting classes and childcare training for all ages, including the under-16s. So if your niece, nephew, neighbor or friend’s teenager wants to babysit for you, you can arrange for them to take a class; they get the training, you get the peace of mind, and your kids get a babysitter with whom they’re already familiar and comfortable. Some parents hire their kids’ daycare teachers to babysit for them because they know they have all the necessary qualifications, and their child already knows them. If you hire someone new to watch your kids, make a “getting to know you” appointment, where you stay at home but let your kids get to know the babysitter through conversation and play. “You’ll notice right away if the babysitter is engaging with the children genuinely, or is uninterested,” says kindergarten teacher Cindy Hemming. Looking into a potential sitter’s references will give you a good idea of whether they’re suitable for your kids. Ask for personal and professional references to give you an overall picture — you want to know about their skills, experiences, work ethic, attitude, reliability, motivation and communication skills (and anything else you think is important). If you need the sitter to transport your child to and from school, after-school activities, etc., they should have a clean driving record. Apps and sites that can be a huge help in this search, so don’t shrug them off. For example, if your kids need a ride more than they need an actual sitter, consider using a licensed, insured local service that specializes in safe transportation for kids, such as Zūm, which currently operates in California and is due to launch in Dallas and Chicago. And if your quest for the right babysitter is going nowhere, think about using a babysitter-for-hire site such as Care.com, UrbanSitter.com or SitterCity.com. On these sites, a babysitter posts their profile — and if you’re interested, you can run a background check (which normally involves a fee of between $25 and $150 but includes a thorough check of public databases for driving records and any criminal convictions). Of course, once you find the right sitter, you need to decide what to pay them. Average prices vary by location and your sitter’s experience; use Care.com’s babysitter calculator to get an idea of what you should be paying, and remember to run everything past your accountant to ensure you stick to all applicable IRS guidelines. And last but not least: Once you find the perfect sitter for your family, don’t lose them. Do everything you can to treat them well. After all, they’re in charge of the most precious little people in your life.